Arsenal have been dealt a huge injury blow after the club confirmed that Alexandre Lacazette has been ruled out for up to six weeks following knee surgery. A statement on Arsenal.com this afternoon revealed that Lacazette was forced to undergo an arthroscopy on his left knee in London this morning. The minor procedure was a success but the 26-year-old will need an extended period of rehabilitation and has been ruled out for between 4 to 6 weeks. 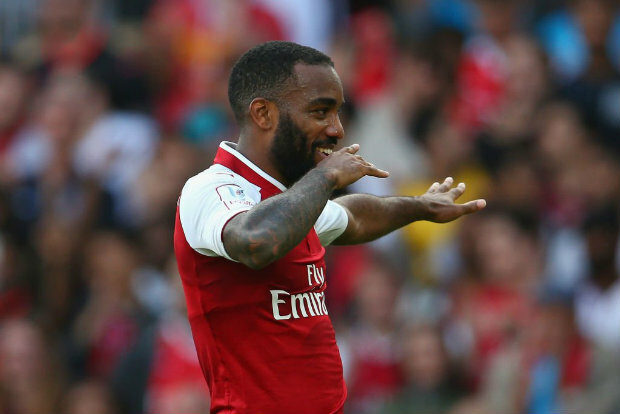 It’s been reported that Lacazette has been carrying the knee injury in recent weeks but after the problem failed to get any better, the decision was taken for the striker to undergo surgery. The news is a huge blow as Lacazette was in-line to be our main striker during the Europa League campaign as Pierre-Emerick Aubameyang isn’t eligible for the competition. With a top four finish in the Premier League now highly unlikely, the Europa League is our best chance to get back in the Champions League next season so it’s a massive blow to lose Lacazette just days before the knockout stages begin. It means Arsene Wenger is going to have to rely on Danny Welbeck to lead the line against Ostersunds and until at least the quarter-final stages should we progress in the competition with youngster Eddie Nketiah offering support from the bench. This setback will also come as another blow to Lacazette as the striker recently lost his first team place to Aubameyang and has scored just 1 goal in his last 12 appearances so time on the sidelines is the last thing he needed.